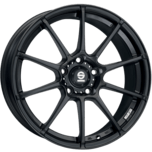 A fresh new partnership between two famous brands, OZ and SPARCO springs a new collection of automotive wheels. With the best Italian design, high-quality materials, OEM construction tech and an increased driver’s satisfaction. 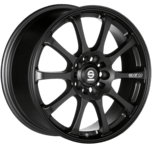 See the full range of SPARCO wheels at AMG Australia. 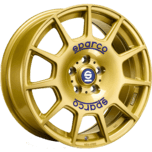 Sparco Wheels tribute to the racing world, where OZ is deeply rooted. 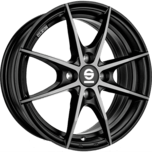 In the best racing tradition, the wheel is designed with 10 spokes, a style defined by racers as "technical". Drift inherits its style from JDM (Japan), in the form of design. 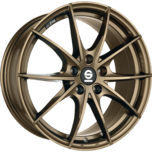 They're the perfect complement to highlight the style of Japanese cars like Toyota, Honda, Nissan, Mazda and Subaru, just to name the most popular ones. 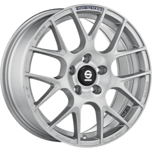 The stylistic and design features recall the success of European "Gran Turismo" with winning shapes and finishes that bring back the emotions of racing. 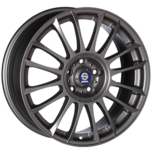 Sparco Pista wheels are not just for technically-oriented drivers, their distinguishing features offer equal eye-appeal on any kind of car, redefining style even for the most popular compact sports models.